Each order is custom fitted to your car's make & model. Introducing the NEW Ice and Sun Shield Windshield Cover! 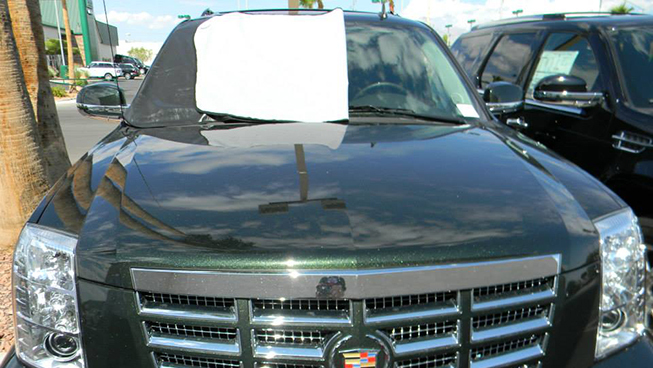 The only U.S. Patented All Weather Windshield Cover for Cars, Trucks, Boats and Airplanes. Made in USA! 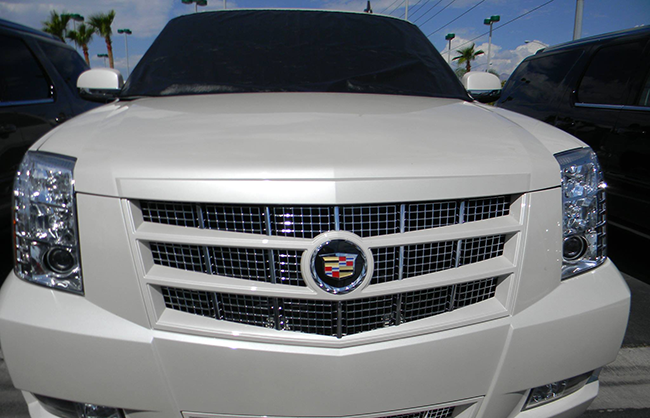 Our windshield cover is patented because of its innovative design and concept. 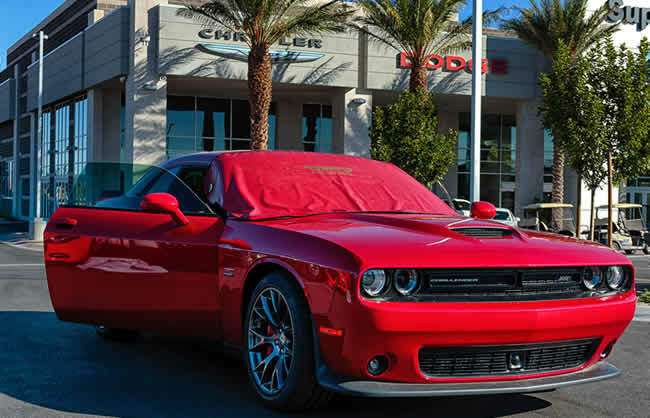 Each windshield cover is custom made-to-order for each and every car, truck, boat or airplane model ever made. Meticulous care is given to each and every product ordered. 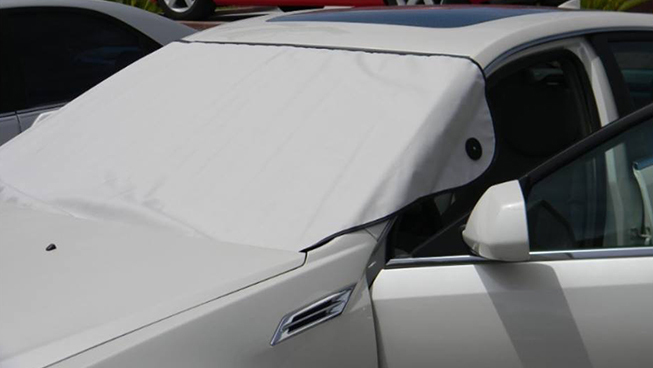 Our patented windshield cover is designed to protect against the most extreme weather. 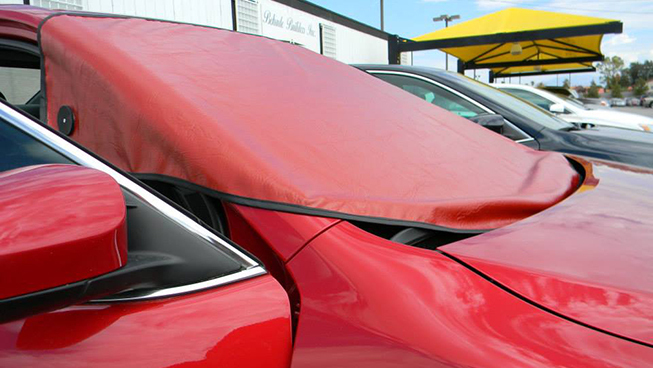 This innovative patented windshield cover is designed to protect against ice, snow, sleet, hail and even the hot sun rays! Available in Small, Medium and Large and in colors black, red or white. 100% Lifetime & Satisfaction Guarantee or Your Money Back! Don't buy cheap imitation. This is the only windshield cover you'll ever need in your lifetime! The Only U.S. Patented All Weather Windshield Cover for Cars, Trucks, Boats and Airplane that is also Made in the U.S.A.! 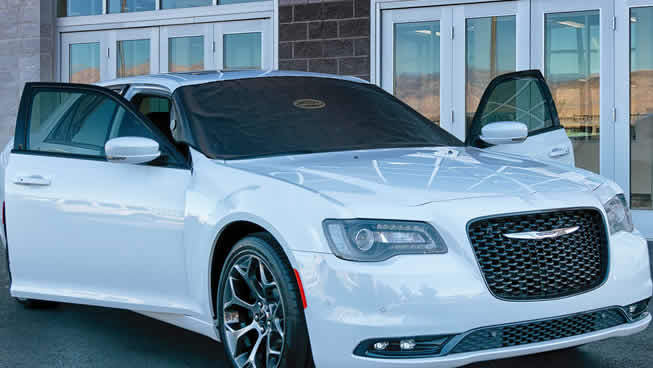 Our patented windshield cover is designed to protect your windshield from inclement weather from hail to blizzards and from the hot desert sun. 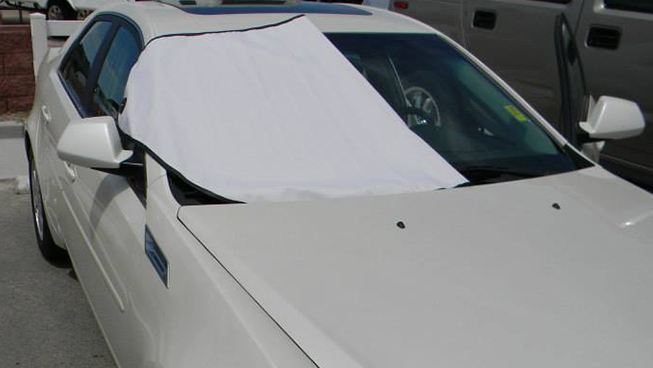 Each windshield cover is available in three (3) sizes - Small, Medium and Large. 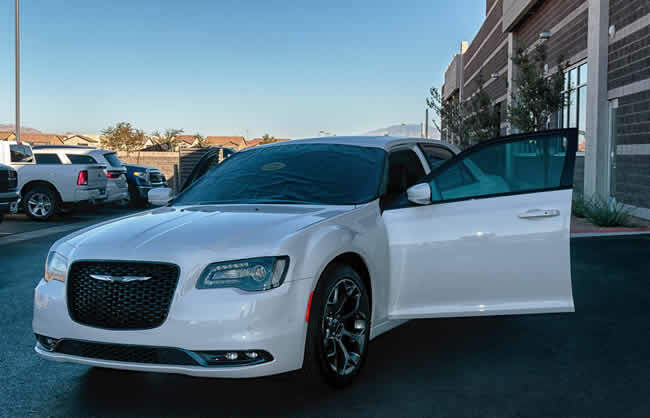 Each is custom made-to-order and will be sized specifically to your vehicle's make and model. 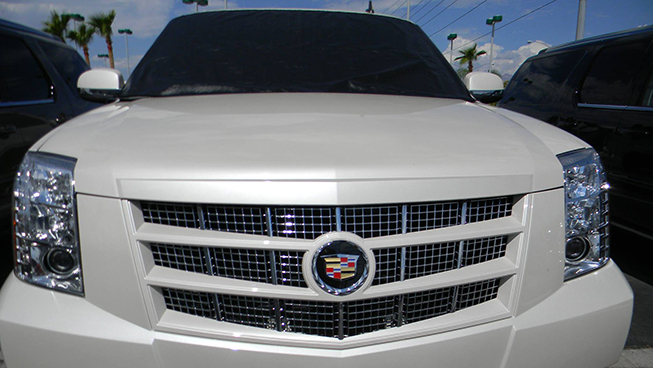 Our windshield covers are available in colors red, white or black. There's no risk because each order comes with a 100% Satisfaction Guarantee or Your Money Back. Don't wait. Order yours TODAY! The windshield cover we purchased from IceAndSunShield.com were custom fitted for each of our cars. We use them when it's sunny or snowy. It takes me less than three (3) seconds to remove and install. It works great! My wife thanks you and I can never thank you enough! IceAndSunShield.com's Patented Windshield Cover has protected my fleet of business vehicles in heavy ice storms. We don't have to wait for our windshield to clear saving us lots of time and money. It's also safer cause we can see. Every little bit helps. The patented windshield cover works like magic. The ice and snow just glides right off. Installing and removing the windshield cover is so easy, well, you've seen the TV commercial. It definitely saves us a lot of time and frustrations. We love it!! Ice and Sun Shield Windshield Cover In Action! Watch Ice and Sun Shield In The Media! 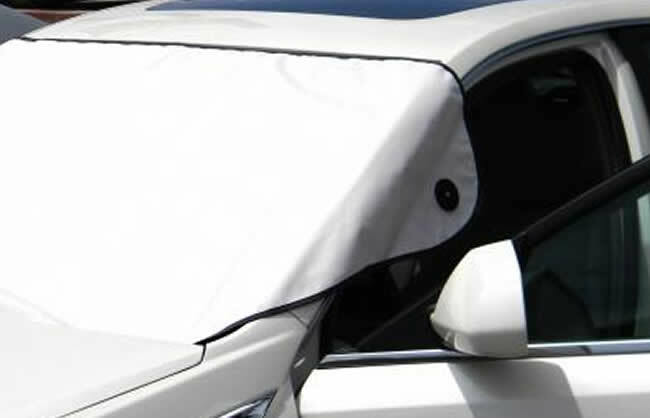 Patented windshield cover prevents against snow and ice build-up. Prevents Snow and Ice Build-Up...No More Scraping! Spoon Accessories is a company built on a simple concept; Provide quality and easy-to-use products to enhance people’s lifestyles. The company is driven by its relentless pursuit to produce items that makes every day life just that more enjoyable. Comprised of a team with backgrounds in retail, sales, real estate and service management; Spoon Accessories’ goal is to provide the best product and service to consumers. Buy Your IceAndSunShield.com Patented Windshield Cover Today!